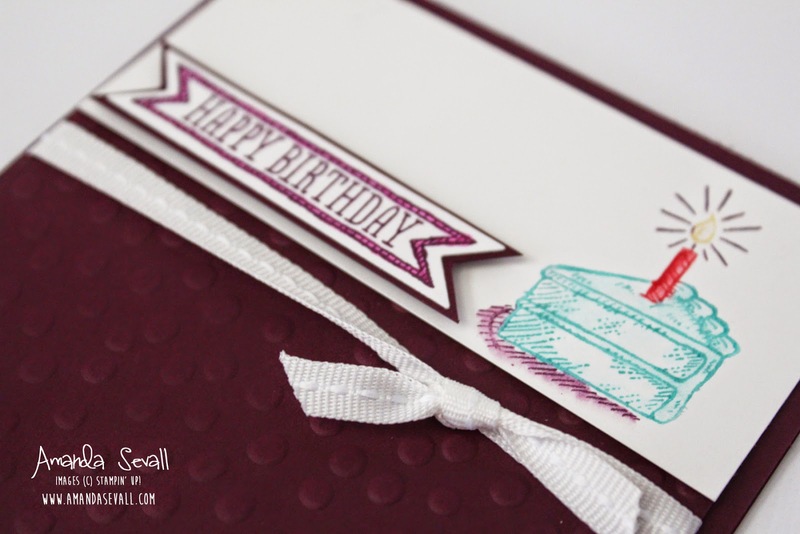 Back again today with this second of the three cards for this month's stamp of the month club! 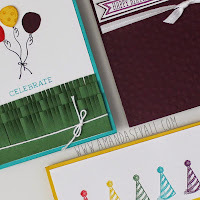 This card features one of the five new colors coming out in the new catalog next Monday -- Blackberry Bliss! It's a beautiful, deep purple color. I'm kind of obsessed with it! Another fun card! I imagine this would read totally differently with other color choices...very versatile!